Brooker Engineering, PLLC is a multi-disciplinary civil engineering firm that has provided services for a wide variety of projects throughout the New York Metropolitan area, with licensed professionals in both New York and New Jersey. Our extensive knowledge and expertise has served federal agencies, state and local governments, utility companies, as well as commercial, industrial and private sector clients. Brooker Engineering has been recognized for its innovativeness in the engineering industry. As a company, we deliver a unique approach combining both the design capabilities and the experience of our engineers to deliver concrete solutions which satisfy our clients’ engineering challenges. Brooker’s team of professionals strives for the utmost in technical expertise, ethical credibility, and customer satisfaction to successfully complete each project. Our staff of over 30 employees includes 10 licensed Professional Engineers, a licensed Professional Surveyor, and Certified Flood Plain Managers all dedicated to meeting the highest professional standards for every project. From concept through construction, Brooker Engineering is committed to partnership and quality of service. The firm has established and maintained a stellar reputation for providing timely, efficient, and cost-effective services across a broad range of private and public civil engineering projects. The staff of Brooker Engineering, PLLC is comprised of a core group of professionals who have the distinction of working together for over 25 years. This unique relationship helps define the character, personality, and philosophy of the firm. We recognize the importance of teamwork, maintaining long-term relationships, establishing positive working relationships with our clients and producing quality projects that we are proud to carry the name of Brooker Engineering. We recognize that we exist in a multifaceted society in which we have the resources and abilities to give back to the community with time, talents and financial support, working with several organizations that improve the quality of life for our neighbors. We are proud of our standing as a member of the community at large. 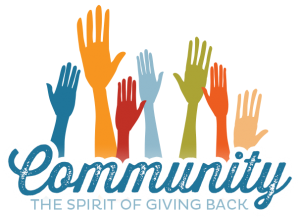 Our community involvement includes charitable donations to local organizations throughout the year, participation in Rotary, and sponsorship of local groups. We are also responsive to the needs of the community in times of crisis. Brooker Engineering responded to the immediate aftermath of the recent storms to provide structural inspections and the design of emergency structural stability measures to secure several dwellings that were severely damaged by flooding on a pro bono basis. We have the depth of staff to provide complete and responsive coverage to suit the needs of clients and our community.